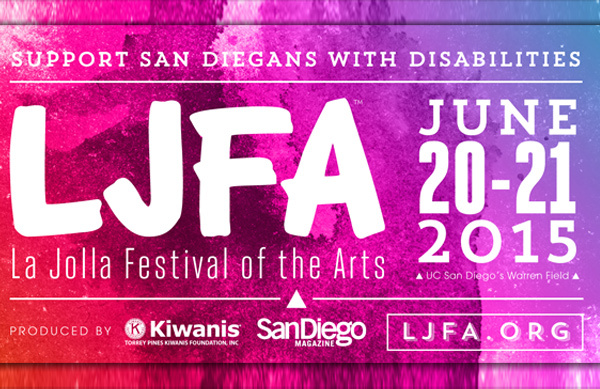 The Torrey Pines Kiwanis and San Diego Magazine will host the 29th annual La Jolla Festival of the Arts on June 20-21 at UCSD's Warren Field. Proceeds from the award-winning festival benefit athletic programs for persons with disabilities in San Diego including MBAC's accessible and inclusive watersports programs. MBAC was fortunate enough to kick off this year's festival season at a Kick Off Party at Bird’s surf shed where we wined and dined amongst some San Diego legends including Eric “Bird” Huffman, Aaron Chang, and Tim Bessell. The kick off party recognized Mission Bay Aquatic Center as a beneficiary and the Torrey Pines Kiwanis presented MBAC with a check for $25,000 to support watersport opportunities for San Diegans with disabilities. You too can support these worthy programs by attending the La Jolla Festival of the Arts. Sip and sample the craft beer and wine tastings while you enjoy the creative works of over 200 artists. The festival is a unique opportunity to combine support for adaptive programs and services that help those who have incurred serious and long term injuries, and artists who work hard to bring creativity and imagination to us every day. We would love to have you join us at the festival this year and experience this wonderful event that is a great way to enjoy incredible art while supporting a great cause. To purchase tickets or for more information on the festival visit www.lajollaartfestival.org. Purchase tickets online today at www.ljfa.org/tickets!